Alrosa’s move to sell a large quantity of rough diamonds to Gokhran could bring price stability, helping the struggling Indian diamond industry. Russian diamond mining company, Alrosa, may have come to the rescue of the Indian diamond industry by an estimated US$ 130 million worth of rough diamonds to Russia's state-owned Gokhran, The Times of India said this week. Alrosa sold the rough diamonds to Gokhran in the second quarter of 2012 to help bring price stability and to reduce the supply of rough diamonds in the global market, especially in India, the paper said. A spokesperson for Alrosa, told the paper that the company aimed to reduce its supply to the market after witnessing its customers' acute financing problems during the second half of 2012, which led to the decline in demand for rough diamonds in the first half of 2012. Alrosa maintains what it calls an acceptable level of price stability during a period of lower demand, by reducing its supply to the market, the Times of India said. The move by the Russian company is likely to help the sagging fortunes of the Indian diamantaires and they could hope for a speedy recovery in the polished diamond prices, the prices of which fell by 20 per cent in the past six months, before the forthcoming Christmas season, the paper said, citing industry analysts. 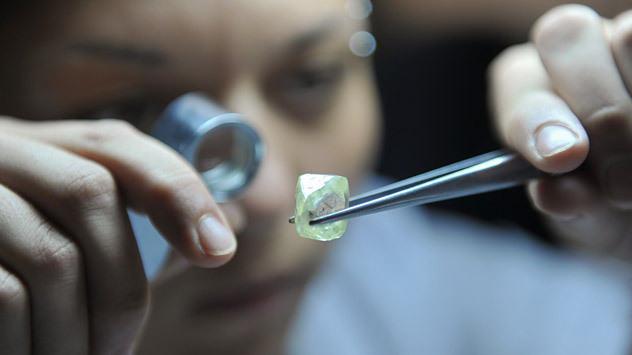 Alrosa's annual supply of rough diamonds is pegged at US$ 5 billion, the paper said adding that the company prefers to sell its goods to its clients based in India, Israel and Belgium through long term supply contracts. India is the biggest rough diamond importer with about US$ 11 billion of rough stones imported in 2011, according to the Times report.